With the RH300 you can simultaneously display relative humidity, air temperature and dew point or wet bulb measurements. Compact meter is ideal for field applications. Unique sensor cap closes to protect to protect meter during storage. Advanced features include data hold, selectable auto power off and MAX/MIN/Average reading. Includes two AAA batteries. 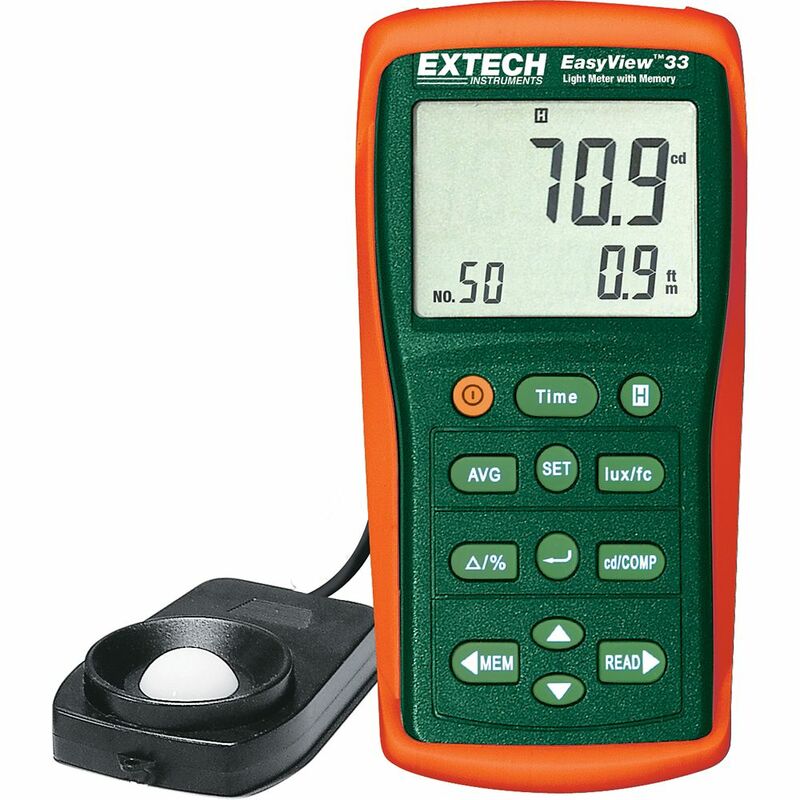 EasyView Light Meter with Memory The EA33 is a compact and ruggedly designed meter which has a wide measurement range to 99,990 Foot Candles in 5 ranges and 999,990 Lux in 5 ranges with 0.001Fc/0.01Lux resolution. Features include: Store and recall up to 50 measurements with relative or real time clock stamp, luminous intensity (candela) calculation, a ripple function that excludes stray light from the primary light source measurement, multi-point average function, timed hold, relative measurement in absolute value or % deviation, comparator function with high/low alarms, and auto power off with disable. Complete with built-in stand, light sensor and protective cover with 36 (0.9m) coiled cable, protective holster, 6 AAA batteries, and carrying case.